For now, the downpours and thunderstorms have passed. 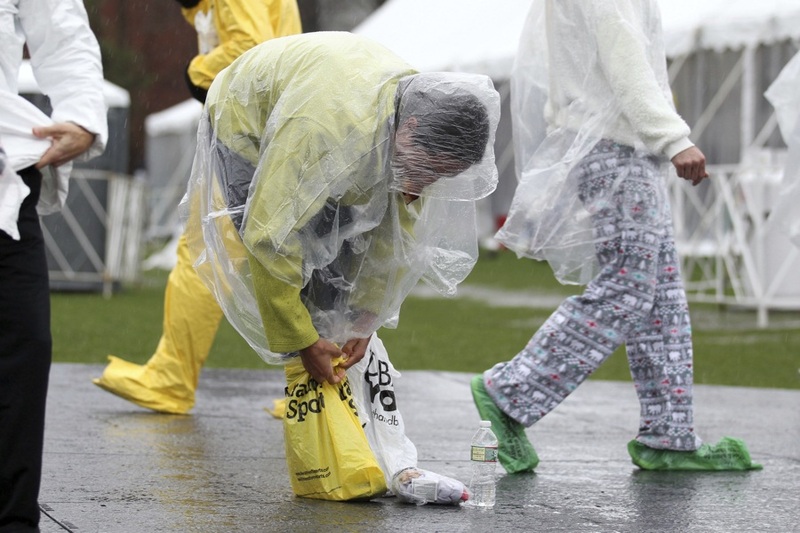 By Spencer Buell·	 4/15/2019, 10:22 a.m.
Hope you packed your ponchos and plastic bags—which runners have been using to shield their sneakers from moisture before the big race—because the 2019 Boston Marathon got off to a gross, soggy start this Patriots Day. Runners awoke to cracks of thunder and heavy downpours Monday, which is admittedly not what most want to see the day of a long-distance endurance race. But things have cleared up quite a bit so far as the rains blew west to east, and forecasters say that the worst of the storm appears to be over, at least for now. Unlike last year, when the combination of rain and cold made conditions hazardous, runners are also competing in warmth today, with temperatures right around 60 degrees as of late morning. 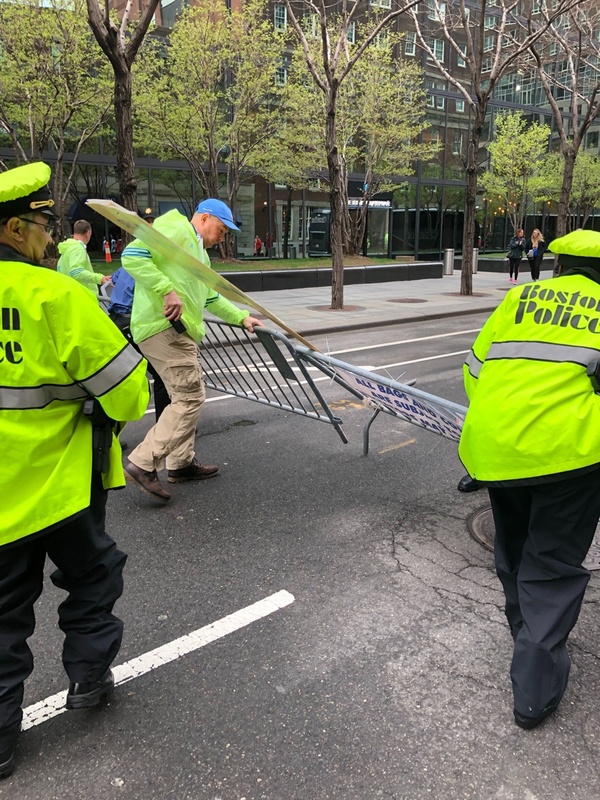 High winds were also a factor on the race route, blowing so hard they briefly toppled a barricade on Stuart Street. Meanwhile, a cold and wet system over New York state and eastern Pennsylvania will be creeping up toward Boston. While the elite runners are expected to cross the finish line around noon, the forecast means there’s a possibility that the last runners this year will collide with some heavier rains, complicating the final stretch of the race. 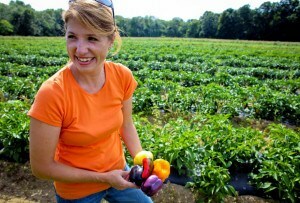 “I’m sure there will be some stragglers out there” when heavy rains return, Simpson says. If you’re heading to the race route, keep an eye on the sky, and heed warnings about lighting should it return. Otherwise, keep a positive attitude and, to the extent that you’re able to, stay dry out there.